When will I get the LBTC rewards? How much LBTC rewards will I receive? At 8:00 AM, if accumulated reward exceeds 0.1 LBTC, rewards will be paid out automatically to the corresponding address. Reward that is less than 0.1LBTC will be rolled over to the next payout cycle. Starting May 27th, 2018, Cobo charges a 10% management fee for servers and operation cost. Q：What is Delegated Proof-of-Stake (DPoS)? A: DPoS (Delegated Proof-of-Stake) consensus mechanism is designed to allow each holder to vote to a certain number of node representatives to produce blocks. In the case of LBTC, it's determined that there will be 101 verification nodes. These representatives are called super nodes. The network formed by nodes is called a node pool. Each super node is selected by the main network for block generation work in a random manner. Each time a block is completed, it is rewarded. If delegates cannot perform their duties, they will be removed and the network will elect new super nodes to replace them. Q：How do I use the LBTC rewards account? 1. Open the LBTC wallet. 2. Select the LBTC rewards wallet to transfer LBTC tokens from your spending wallet to the reward wallet. 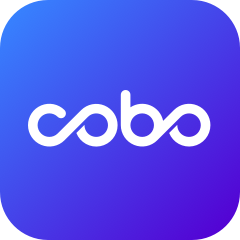 Q: What are the advantages of smart proxy voting via Cobo as compared to directly voting for DPoS nodes? A: There are two advantages to using the Cobo LBTC reward wallet. Cobo executes smart, real-time algorithms to optimize and maximize your profits. This not only reduces your risk due to the change of the node pool, but also saves you the cost of voting and withdrawal. Additionally, Cobo saves you on paying for miner's fees (direct participation in the DPoS node's voting dividends will incur miner's fees of 0.01LBTC).